Dinosaur Comics - January 22nd, 2015 - awesome fun times! –THE THINGS THAT ALL GREAT WORKS OF ART HAVE IN COMMON!! 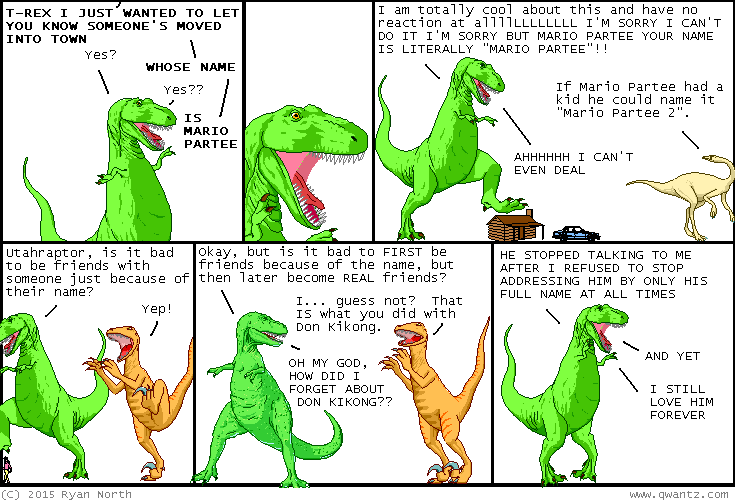 January 22nd, 2015: If you are named Mario Partee BOY do I have an installment of Dinosaur Comics for you! !